This post shares a few methods for achieving Perfect Hard-Boiled Eggs using the traditional stovetop method, an Instant Pot (or other electric pressure cookers), or an egg cooker. One of the very first things I learned how to cook was hard-boiled eggs. As a broke college kid – eggs were cheap. Egg salad became a staple because it was such a budget-friendly meal. I’ll be honest, it took some trial and error to finally figure out how to get the perfect hard-boiled eggs that peeled easily and didn’t have that weird gray or green ring around the yolk. Over the years, I’ve probably tried every method or trick out there. I’ve added vinegar to my water. I’ve tried baking soda in my water. I’ve added salt to the water. I’ve used new eggs … and older eggs. Today, I want to share THREE different methods for achieving the perfect hard-boiled egg. There’s just something about a hard-boiled egg with the perfectly firm white part with a cooked, but still creamy yolk. On their own, they make a great on-the-go breakfast or snack. They’re also a great addition to salads. 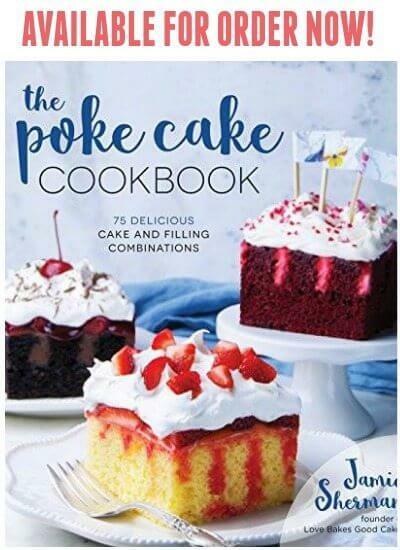 Or, they can be the star in your favorite deviled eggs recipe or egg salad recipe! How do I make the perfect hard-boiled egg? I believe it all starts with the eggs you choose to use. 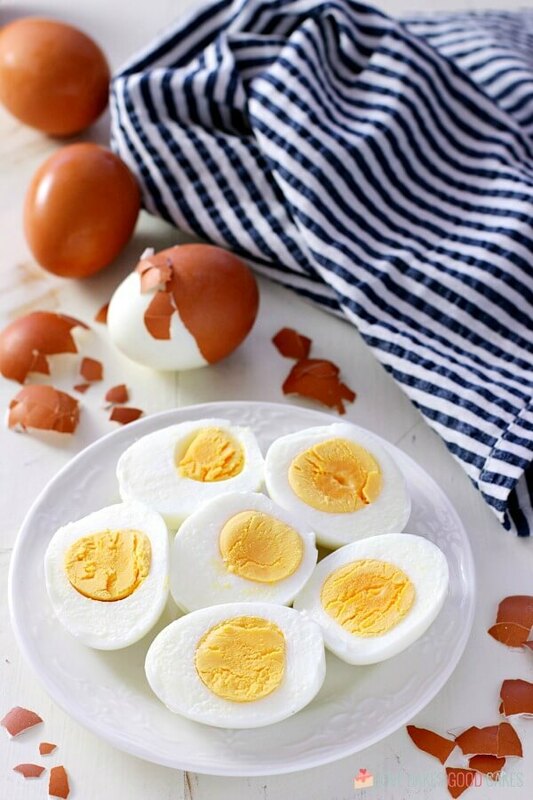 Although fresh eggs are great for breakfast, that’s not the case when it comes to making the perfect hard-boiled egg! You’ll want to use eggs that have been hanging around in your fridge for a week or two. Older eggs peel easier. Although we call them “boiled” eggs, really, that’s the last thing we want to do to them! High heat is what causes the white part of the egg to become rubbery and makes the yolk chalky. Not good. High heat is also what causes that weird and unattractive gray-green ring around the yolk. In my stovetop method, we’ll be bringing the water to a rolling boil and then removing the pan from the heat. The eggs cook the rest of the way my sitting in the hot water bath – creating the perfect hard-boiled egg! 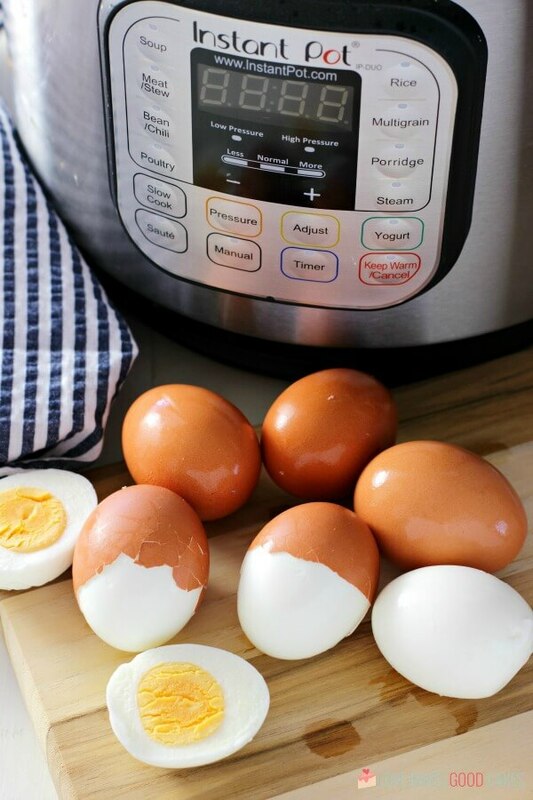 In our Instant Pot method, we use the 5-5-5 method for an almost foolproof way of making the perfect hard-boiled egg! 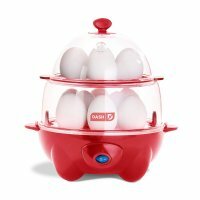 Finally, if you choose to use the electric egg cooker method, you will quickly and easily steam your eggs to perfection! Below, I have provided three different methods for perfect hard-boiled eggs. Pick whichever one works for you. I know there are a ton of methods that call for adding whatever “secret” ingredients to the water, but I only use eggs, water, and ice. There is no need to use vinegar, baking soda, salt, or anything else. Personally, I believe perfect hard-boiled eggs are two-fold. One is making sure to not overcook the eggs and the second is finding the way to easily separate the shell from the edible part of the egg. Ice is a means for quickly cooling the eggs down. Since the cold water is a shock to the egg, it helps pull (or constrict) the inside of the egg away from the shell. If you really want to help it along, slightly crack the eggs before putting them in the water to cool. 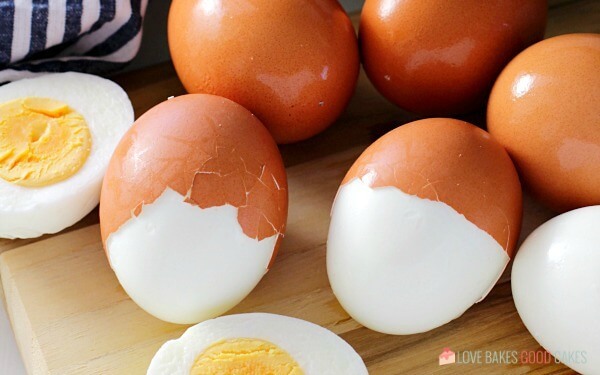 The water will penetrate between the shell and the egg, making it them easy-to-peel hard-boiled eggs! 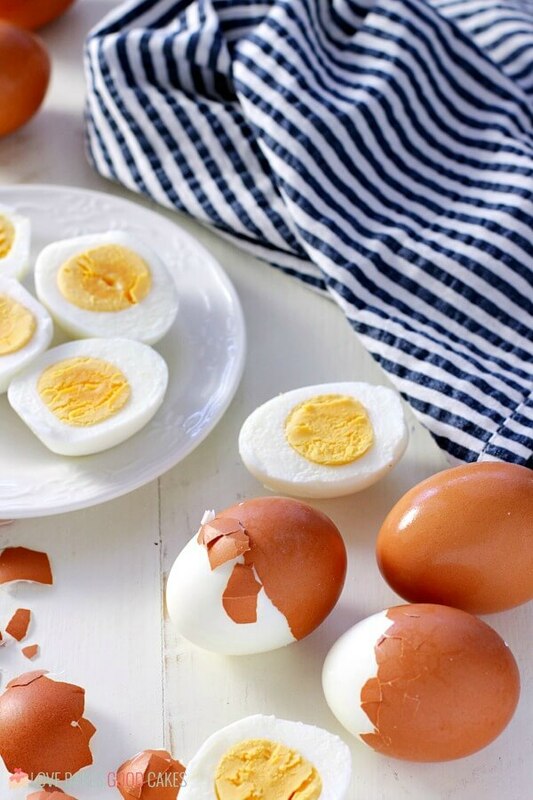 Once cooked, you will need to use these hard-boiled eggs within one week. What causes the yolks to turn gray or green? Simply put, overcooking the eggs causes a chemical reaction that causes that gray or green ring. Additionally, an ice bath helps cool the eggs down and further prevents the dreaded discolored ring around the yolk. Place eggs in a large saucepan. Add cold water to at least an inch over the top of the eggs. Heat the pan over medium-high heat and bring the water just to a rolling boil. Shut off the heat and cover the pan with a lid. Allow the eggs to sit in the covered pan for 14-19 minutes (14-16 minutes for small eggs, 15-17 minutes for medium eggs, 16-18 minutes for large eggs, and 17-19 minutes for extra-large eggs). Meanwhile, add ice to a large bowl and add enough cold water to be able to completely submerge the eggs. Using a slotted spoon or tongs, transfer the cooked eggs to the bowl of ice water to cool for about 10 minutes. Drain water from pan. Use in desired recipe or store covered in the refrigerator for use within one week. 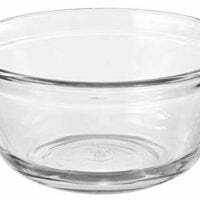 Add 1 cup of cold water to your Instant Pot liner. Place trivet or egg rack into the pot. Add eggs. Close and lock the lid. Press the "manual" button (or pressure cook button). Adjust time to 5 minutes. Let the pressure come down naturally for 5 minutes and then do a quick pressure release by turning the pressure valve (or knob) to venting. Once the pressure is released, the pin will drop and you can open your pot. Using tongs, remove eggs to a bowl filled with ice water. Let the eggs sit in the ice bath for at least 5 minutes. Add water to the heating plate - 5 oz. line for 6 eggs or the 3.5 oz. line for 12 eggs. 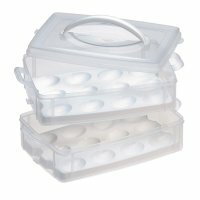 Place the bottom tray onto the egg cooker. Pierce the fatter end of each egg using the pin at the bottom of the measuring cup. 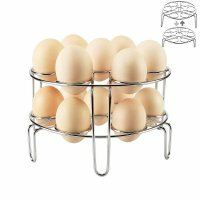 Place the eggs with pointier side down onto the tray, using the base ring for a secong layer of eggs, if needed. Cover with lid. Press the power switch to start cooking. When the buzzer sounds, turn off the egg cooker and unplug the appliance. 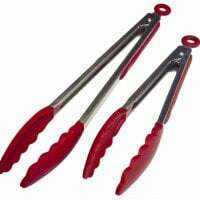 Using tongs, carefully transfer the hard-boiled eggs to a bowl of ice water to cool for about 10 minutes. I only use large eggs at my house. For the Instant Pot version, you may need to adjust your cook time up or down depending on the size of your eggs. You can cook more or less eggs using any of the various methods. No need to adjust the time. 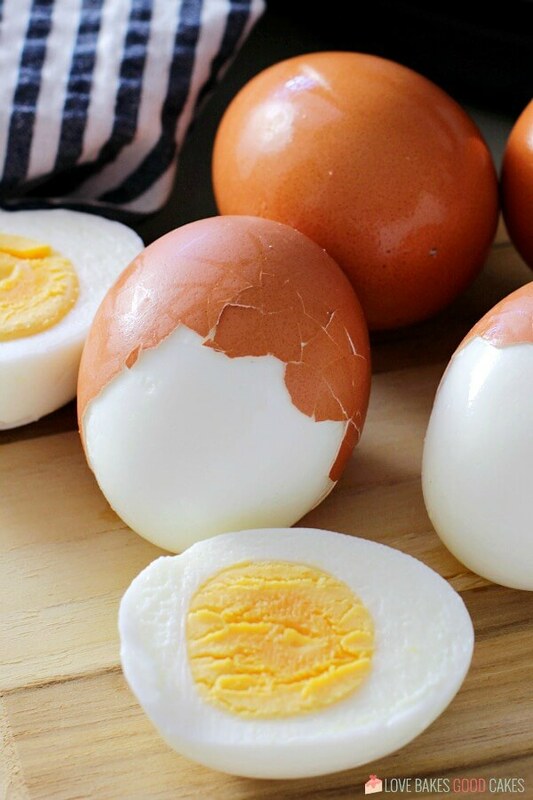 Store hard-boiled eggs, covered, in the refrigerator. 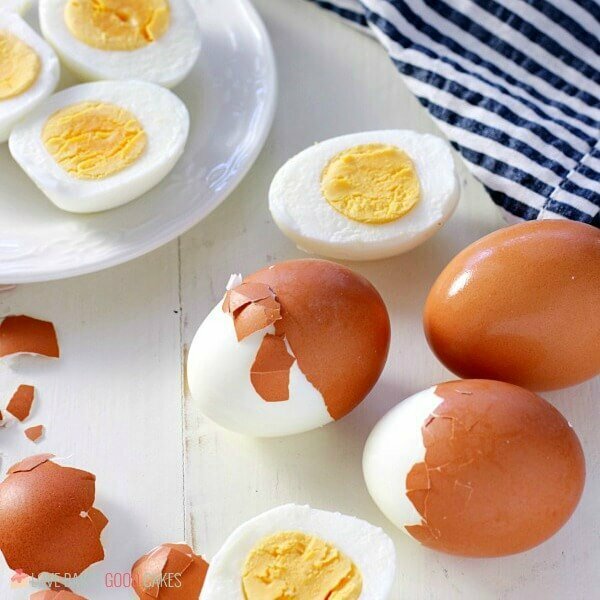 Use hard-boiled eggs within one week. Older eggs are easier to peel. In my opinion, it's best to store hard-boiled eggs in the their shell in the refrigerator until ready to use. Love making eggs in the instant pot! Never doing it any other way again! I’ve used both the Instant Pot method and the just come to a boil method and they always turn out perfect hard boiled eggs! My favorite is the IP just because it’s a little easier and when I use the IP I feel like even fresh eggs peel nicely, which is a plus. 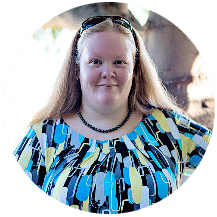 I used to bake my hard boiled eggs in the oven, but once I tried the Instant Pot, I never went back! 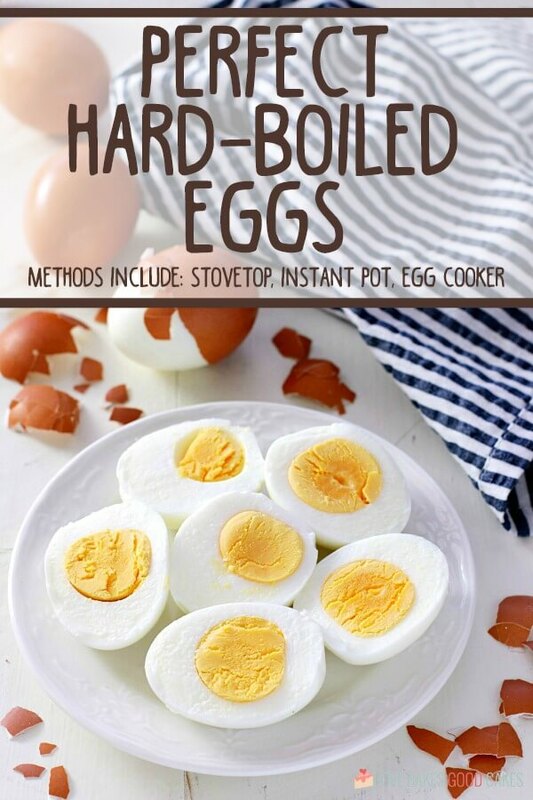 For the life of me, I could never hard boil eggs but this was super easy, thanks!! 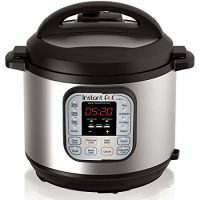 I have yet to try the instant pot way! Thanks for the tips. This is such a great hack when meal prepping on Sunday. I love making a big batch and then using them throughout the week. So easy! So many good tips in this post !! Love making hard boiled eggs in my IP! We love hard boiled eggs or soft boiled or any way I can get them. 🙂 Very good instructions to keep on hand. It seems so easy but it’s not! It’s not easy to have always perfect hard boiled eggs! I definitely should try your tips. They are exactly what I needed! This is my new go to! Love having the ability to do this!